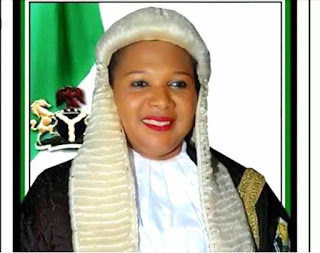 Following an alleged shooting of a welder, Mr. Okechukwu Ifechigha, a native of Ukpor, in Nnewi South Local Government Area of Anambra State by a police officer, the honourable Speaker of Anambra State House of Assembly, Rt. Hon. Barr. (Mrs.) Rita Madaugwu, has beckoned on the state Commissioner of Police, Mr. Garba Umar to wade into what she described as police brutality in her home community. In a statement signed by her Chief Press Secretary, Emma Mmadu and made available to cfrmagazine.com, the speaker said that her kinsman, Mr. Okechukwu Ifechigha, was shot in both feet in his shop at Ukpor around 8: 30pm by a police officer while arguing with him on why he should be at his workplace by 8:30pm, emphasizing that there was no curfew in Ukpor or anywhere in Anambra State. Barr. Madaugwu said that the youths of the community had taken to the streets to protest what she described as man's inhumanity to man, saying that the welder was in his shop working and had no criminal tendency. She urged the people of Ukpor to remain calm and law abiding, noting that the police command in the state was expected to hasten action in addressing the ugly incident. According to the speaker, an indigene of Ukpor, Miss Igwetu Linda Nkechi, a Corps member who was serving at Abuja was shot dead by a police officer at the eve of her passing out. "My people have been suffering in the hands of police officers ranging from humiliations to capital punishment. How can a police officer shoot someone like that? If it was in one leg, people would have said, maybe it was a mistake, but, this one, he shot him in both feet. If not that the guy jumped up the officer would have kill him instantly. He is there in the hospital lying critically ill. He can't even move his legs. 'Let me use this opportunity to call on the state commissioner of Police, Garba Umar to take necessary action. The officer involved should be punished severely for his reckless act to serve as deterrent to other police officers. As far as I'm concerned, it was a clear reckless action by the officer and he must be punished accordingly by the state police command,' the statement read. When contacted, the Police Public Relations Officer (PPRO), SP Haruna Mohammed, said the case was under investigation, assuring that the command was working round the clock to ascertain the actual cause of the incident. He noted that the Inspector in involved had been arrested and detained, saying command would unravel the mystery behind the incident, even as he appealed to Ukpor youths not to take laws into their hands.